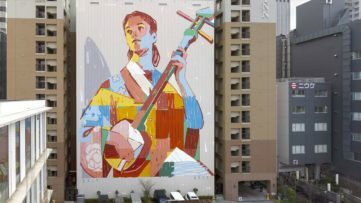 Throughout the decades, the graffiti and street art scene has become a global phenomenon although it is commonly only related to the Western context. During the mid-1990s this art form started spreading in the East as well, so each country had its own specific scene. Since then, a great number of exceptional contemporary graffiti masters appeared and among them is Sepe, one of the leading proponents of the Polish scene. 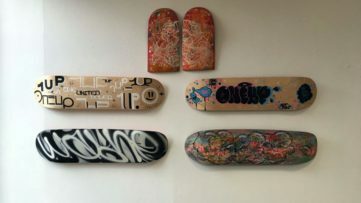 The upcoming show at Rhodes Contemporary Art will feature his latest works which are a continuation of his graffiti practice expressed through painting. 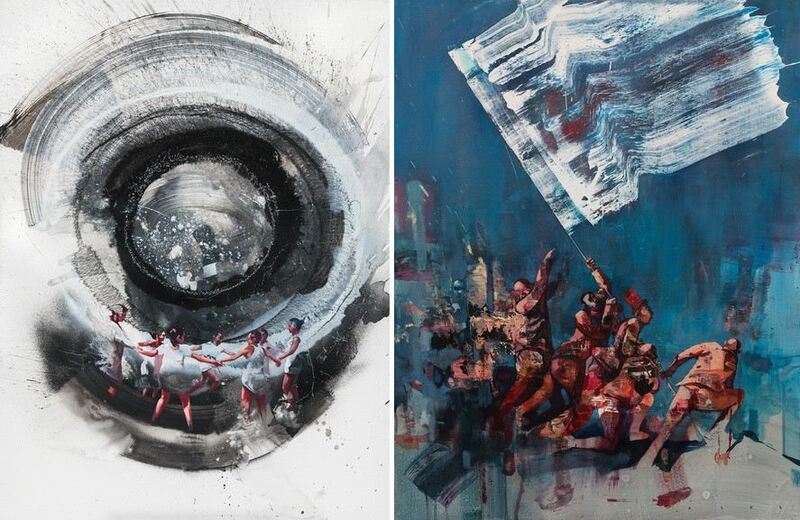 Triggered by the contemporary notions of humanity and moved by the rapid and revolutionary sociopolitical shifts on the global scale, Sepe created strong visual responses aimed to both pose questions of social relevance and explore different painterly solutions. For a decade now, this established artistic figure has been creating work based on some sort of social articulation. 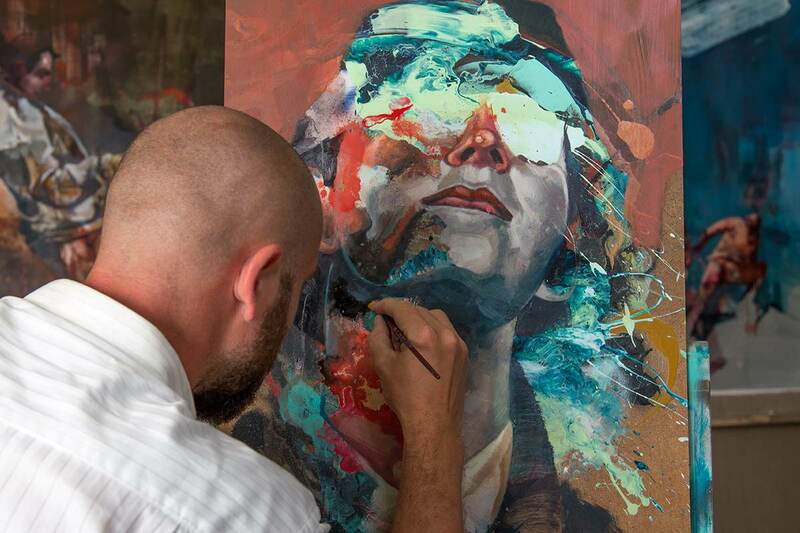 By combining illustration, graphic design and graffiti art, Sepe managed to establish a recognizable style and to stand out. In recent times, the artist started working with tar, oils and a special solvent that creates peculiar stains of colors on panels. His approach became more aggressive, so the rigid, stronger effect is much more apparent than before. All of the works selected for the upcoming show were made in a period of last seven months. Sepe didn’t want to go for a strict framework; rather, he chose an expressive approach which brought more dynamic and sharper visual language. By limiting the color palette on red and bright blue, the artist underlined the importance of struggle and revolt which is especially elaborated in his animal portraiture works. 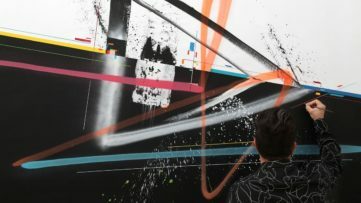 His compositions are inhabited by human figures in a moment of social disobedience, as they reveal contemporary dissatisfaction and disappointment in any form or resistance. 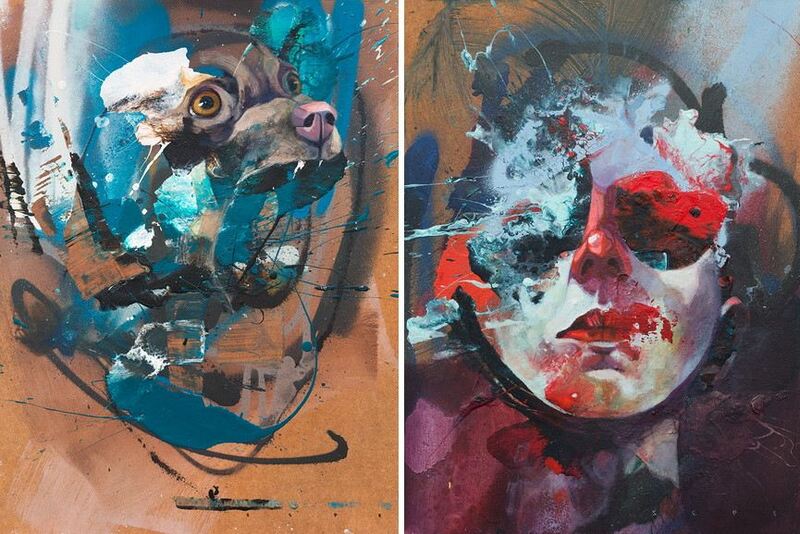 These portraits are disrupted with abstract elements, so the achieved tension suggests how the very revolutionary spirit got carried away or simply got lost. 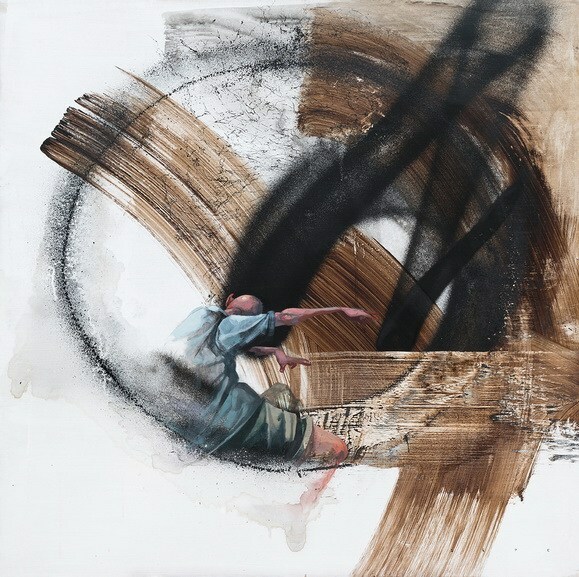 Sepe’s latest series show seriousness and maturity, not only in technical but also in a conceptual sense. By offering multiple connotations depending on the human or animal subjects and individual backgrounds, the artist managed to construct strong and persuasive narratives which indeed are visual metaphors of contemporaneity. Dying Surfer Meets His Maker will open at Rhodes Contemporary (formerly Lawrence Alkin Gallery) in London on 5 October and will stay on view until 2 November 2018. 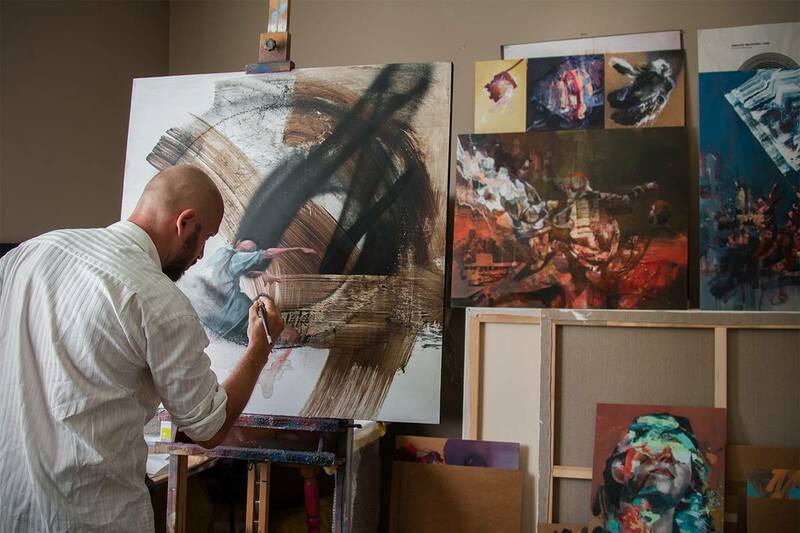 Featured image: Sepe in his studio. All images are courtesy of the artist and Rhodes Contemporary Art.